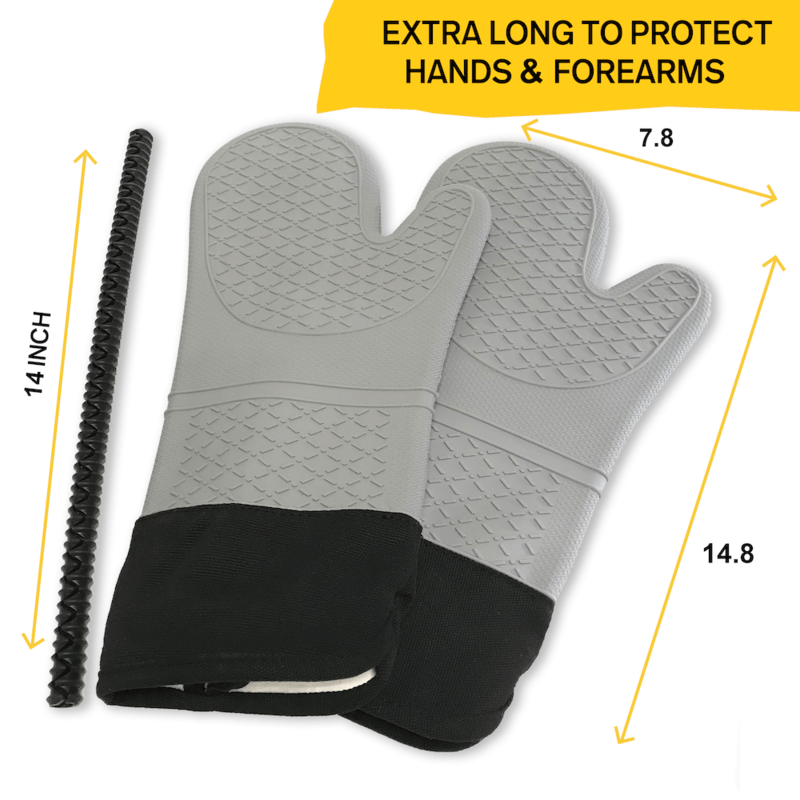 As our extra-long oven mitts are waterproof & 100% heat resistant up to 460°F/240°C protecting hands & forearms. With a 7.5 inch Diameter opening these mitts are universally fitting for male or female. 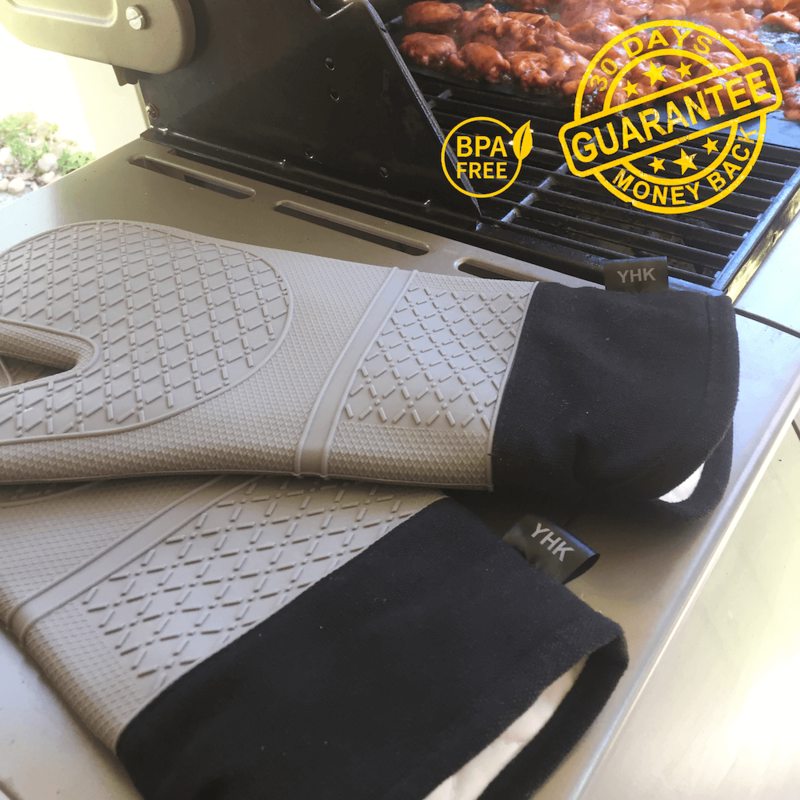 No more using traditionally oven mitts which don’t protect your arms, melt, get water logged, causing steam, grill and oven burns. 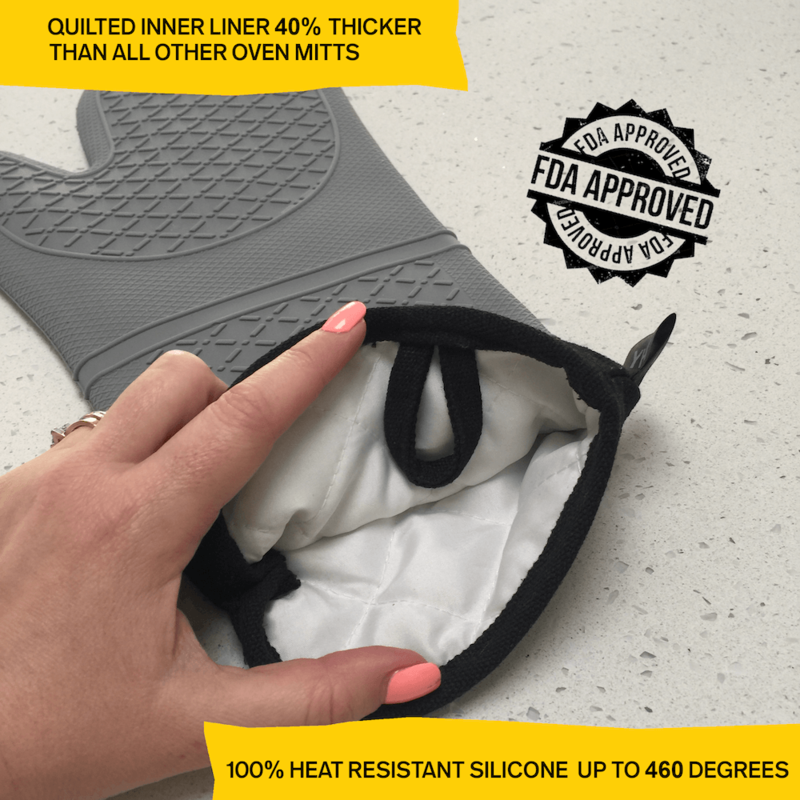 As our oven gloves are made from a textured professional soft grade silicone, to ensure flexibility & maximum safety grip. 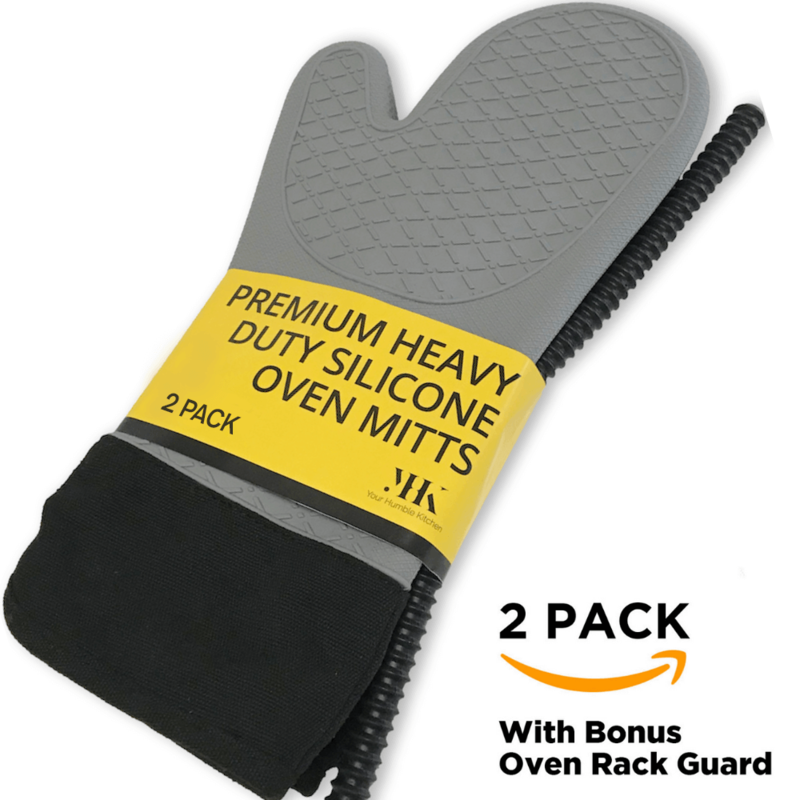 This means they are perfect for Stoves, Microwaves, Toaster Ovens, BBQ’s, basting & in broiling. At Your Humble Kitchen we ensure our merchandise is tested & eco friendly. We are certified & can prove it. 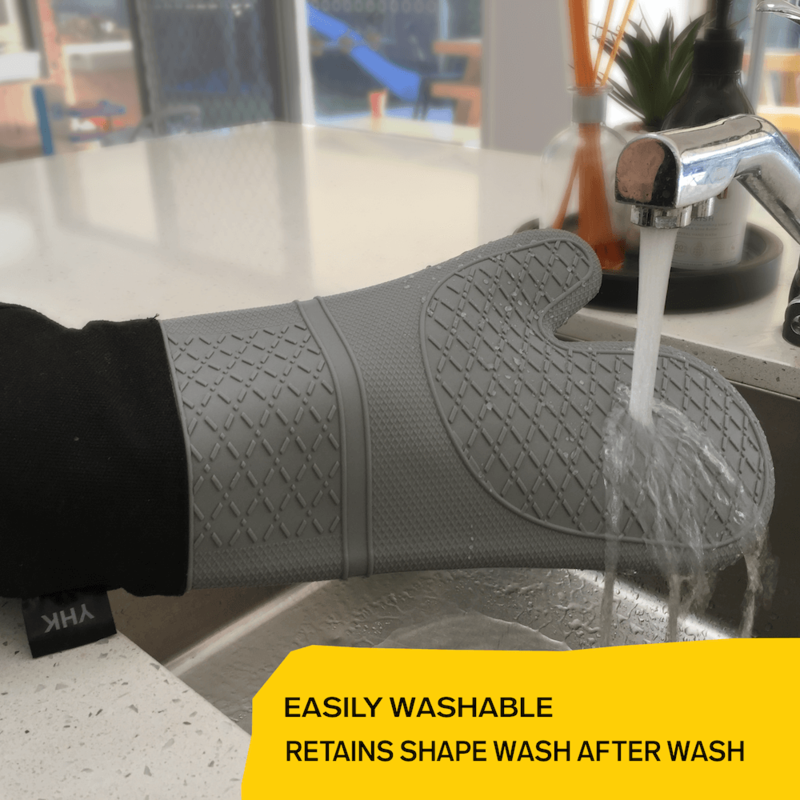 As our oven mitts are 30% thicker than all other Amazon oven mitts, with quality quilted inner liner, easily washable, retaining shape wash after wash. 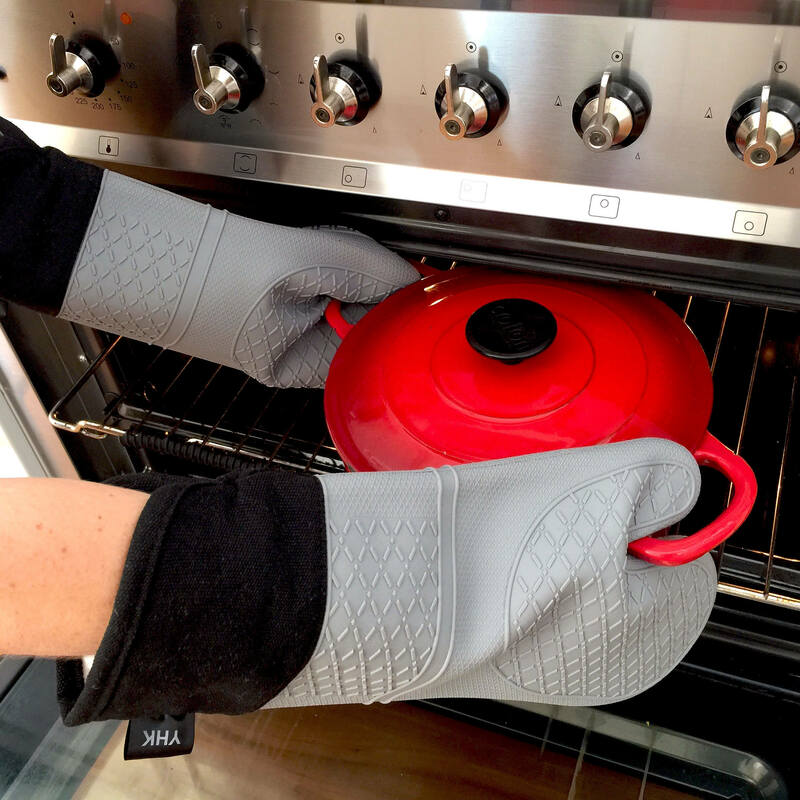 Which means it will outlast traditional mitts & withstand high temperatures for longer, meaning no heat burns.